There are days you just need a Mai Tai at 9:00 am. You know those days? When crumbles of life are falling down all around you and the only sane thing to do is to drink something fruity and tropical and rather strong? Well, I have a rather innocent solution, one that will not garner worried looks from your friends and relatives and one that is so amazingly delicious that you may not mind any more that your life is in shambles. 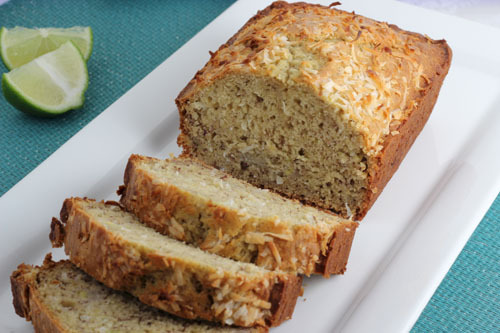 Categories: Bread, Breakfast | Tags: Banana bread, brunch ideas, coconut banana bread, Cooking Light Lime coconut bread, light banana bread, lime coconut banana bread, low-fat banana bread, quick breads, tropical breakfast ideas | Permalink. I live just outside of Los Angeles, and I actually love it—minus the stand-still, mind numbing traffic. There’s absolutely nothing good that can be said about that. I am someone who needs action to be happy, a life that is constantly on the go, and living near LA gives that to me, in spades. 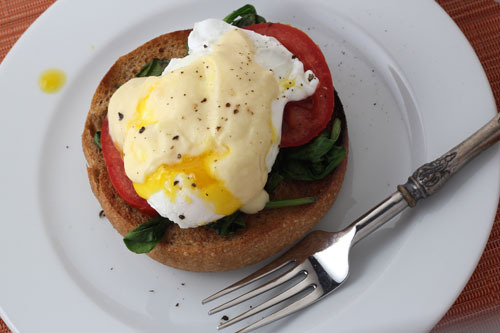 Categories: Breakfast, Vegetarian | Tags: crab benedict, diversity, eggs Benedict, florentine benedict, how to poach an egg, LA, low calorie hollandaise sauce, low-fat hollandaise, mock hollandaise sauce, pink corvette, spinach eggs benedict, unicyclist | Permalink. Please excuse the cobwebs here at Sweet and Crumby. Life over at my digs is like the spin cycle of my washer, just whirring so fast that it makes me a little dizzy. So…you will have to enjoy this repeat, or you are more than welcome to move on. 🙂 No hard feelings. Truly. 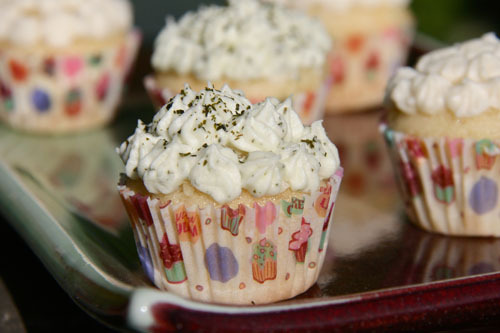 I wish I could send you one of these sweet little mini coconut, cream-filled cupcakes with Matcha frosting. They are soft, with a tender crumb, have a mild dreamy coconut flavor, and the rich, smooth frosting is perfectly offset by earthy green tea. Categories: Cupcakes | Tags: coconut cupcakes, matcha cupcakes, matcha green tea frosting | Permalink. Whether you have a sweetheart, a sweet kid to bake cookies for, a dog to hug, or know someone you want to share a little happiness with…bake any of these treats and make this Thursday a little sweeter. 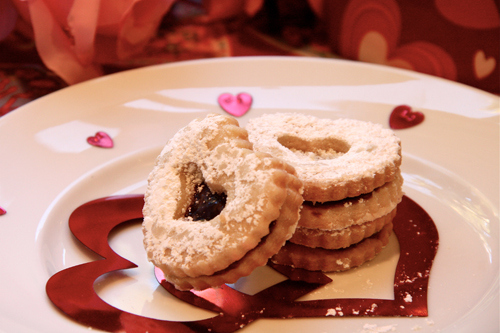 Categories: Valentine's Day | Tags: cardamom chocolate cake, cardamom cookies, molten chocolate cake, pistachio cookies, Raspberry Linzer cookies, rosewater cookies, Valentine's day round-up, winter spiced chocolate cake | Permalink.